I love street art! True to the motto “Earth without art is just eh!” And there is no better place in London or maybe in the world to discover these kind of art than Shoreditch. 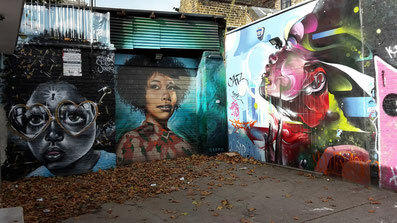 Today great street art can be found all over the world but Shoreditch just has the most international scene. To not only admire these artworks but also get some detailed background information we decided to go on a street art tour with Dave, a respected photographer and part of the scene for more than one decade. Hence, he is a real expert and he gave his best to turn us into let´s say mini experts within the 3.5 hours tour. Weather: Tours will take place even if it is raining! If you are not familiar with the different street artists, it might be hard to absorb and process the large amount of information you get during the tour. But don´t worry, Dave will send you an email afterwards, so that you can review the day. We and the other participants of the tour (approx. 15 people) met Dave near Old Spitalfields Market. Before the tour started he warned that 3.5 hours may sound like a long time but afterwards we will ask for even more and he was so right. On our way to Brick Lane Dave showed us some stickers we probably would not be aware of discovering Shoreditch on our own. 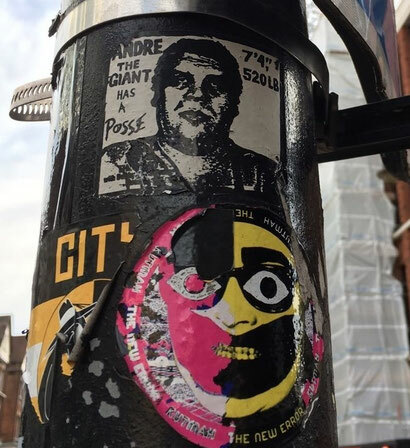 Like stickers from Andre the Giant designed by the famous artist Shepard Fairey who owns the even more famous fashion label OBEY clothing or a hand made silk screen printed sticker by Israeli artist Dede. These stickers will give you an idea of who is / was in town. 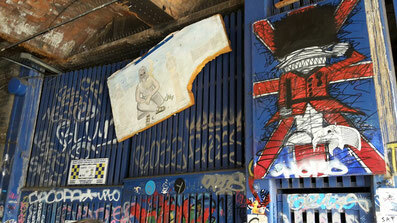 Then we walked down Fashion Street and faced the question of what is the difference between street art and graffiti. To be honest I always thought this is more or less the same. 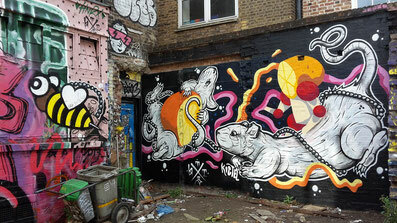 But now I know that graffitis are mainly letters or words and we are not the audience but other graffiti sprayers. The artists don´t care about us, they want to show each other that they exist and how good they are. Often we are not even able to decipher it. 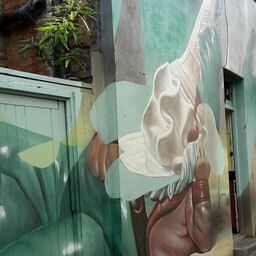 On the same street we saw a famous artwork made by Jimmy C from Adelaide who is well known for his pointillist style. 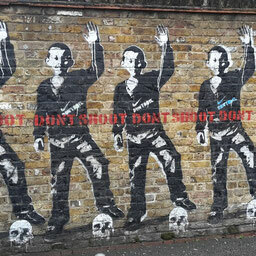 Probably his most famous piece of art can be found in Brixton. It is a portrait of David Bowie which became a pilgrimage site for all Bowie fans after the English singer, songwriter and actor died from cancer only two days after his 69th birthday. 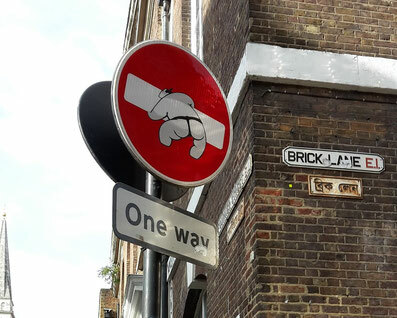 Then we turned left onto Brick Lane. 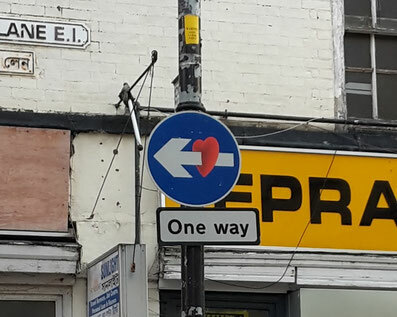 The first thing we could gaze at were the street signs modified by Clet Abraham - a famous French artist who has been living in Florence, Italy for over 20 years. 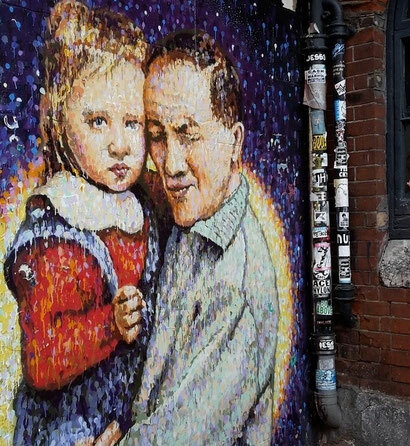 His work of art can be found on street signs all over the world. 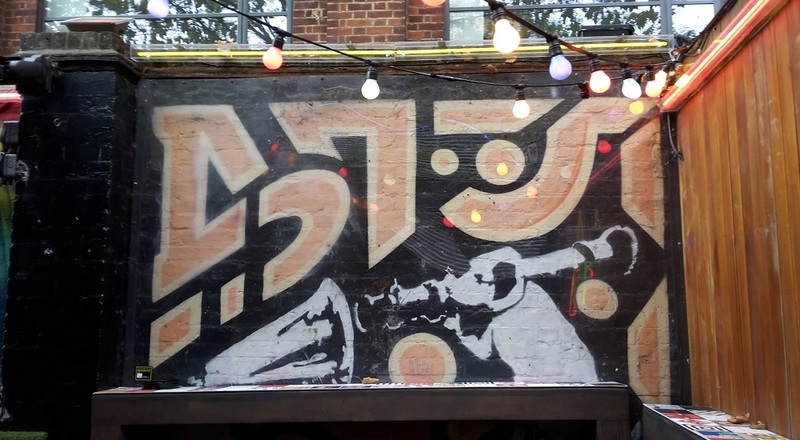 Also on Brick Lane there is a small backyard full of street art you should not miss even when discovering Shoreditch on your own. The following pictures show among other things an artwork by ThisOne and a portrait of Myfanwy Evans by Dreph. 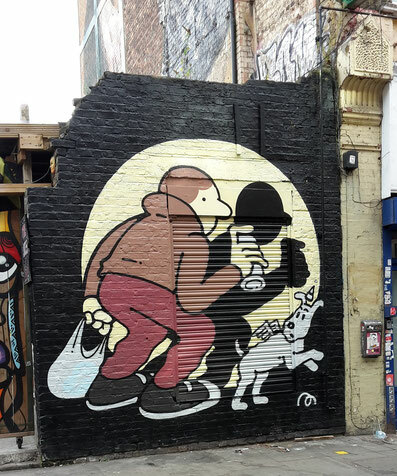 Dave showed us so many cool things on Brick Lane, it would be too much to mention every single piece of art here but there is one more I personally love. 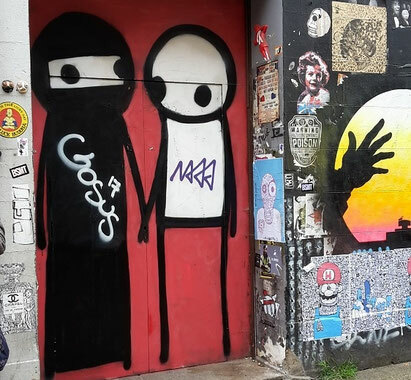 An artwork by Stik showing a Muslim girl in a niqab and a white propably Christian guy hand in hand. Stik lives in London and we were fortunate to ran into him later on our walk through Shoreditch. 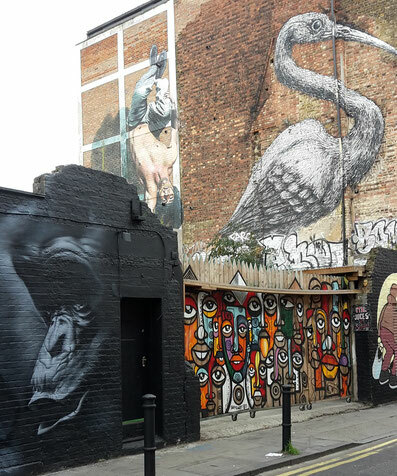 After a short coffee break we made our way to Hanbury Street where we found probably one of the most photographed walls in Shoreditch (I think): ROA’s big bird. ROA is from Belgium and one of the World's most acclaimed street artists. 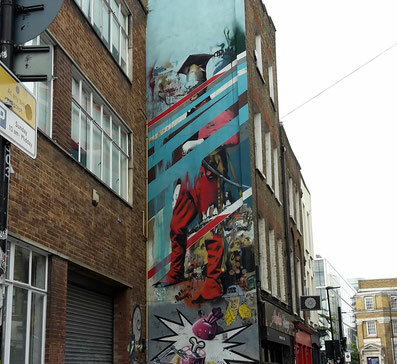 A little further down the street, we saw a colorful wall by Conor Harrington, an Irish-born street and graffiti artist based in London. 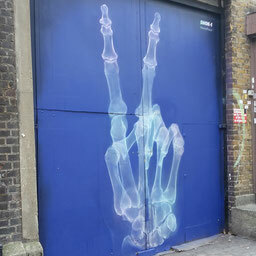 Close to Harringtons work was an impressive artwork by UK artist shok 1 which looks like a real X-Ray image. 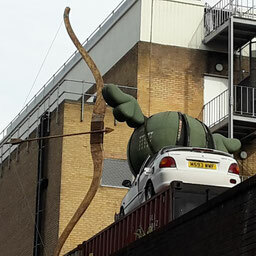 On Grey Eagle Street we saw Crunchy the Credit Crunch Monster, a large statue by the German artist Ronzo from 2009. On the wall under it, there is another artwork from Obey as well as a piece of art from Space Invator, a French urban artist well known for his pixel art mosaics. 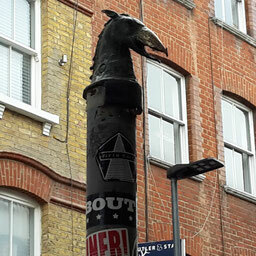 Then we made our way to Shoreditch Highstreet. 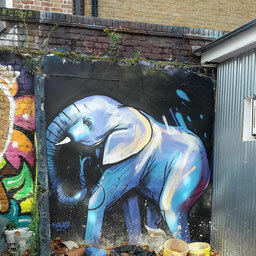 Near the overground station is a tunnel full of art. There we saw for example a piece of art by Nathan Bowen who likes to create art on run down spaces using pens and acrylic paints to give these spaces an artistic after life. When booking the tour Dave asked us to download a special app to see how it looks like when street art meets virtual reality. When ponting your smartphone to this piece of art "The Cycle Of Futility" by INSA you will see through your phone that it starts moving. Last stop was Cargo, one of the coolest night clubs in London, not only because you will find two real Banksys here. My conclusion: The tour was amazing and Dave a great guide. He explained everything in a simple but interesting way and infected us with his passion for art. We learned a lot about different street artists, the history of street art, techniques or legal versus illegal artworks. During the tour all street art related questions were answered. No wait! Not all! 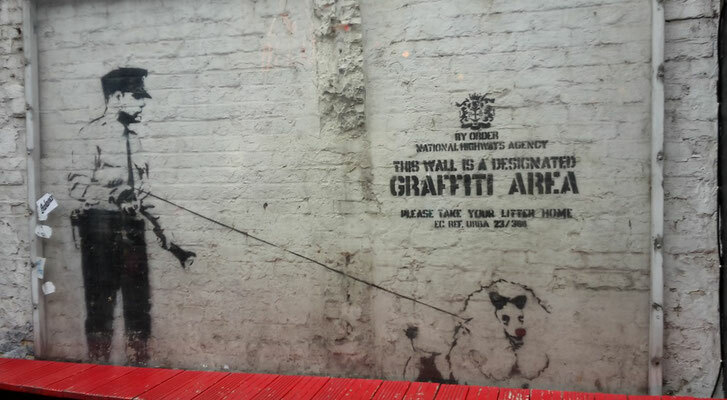 There is still one big question left, which probably won´t be answered ever: Who the heck is Banksy? 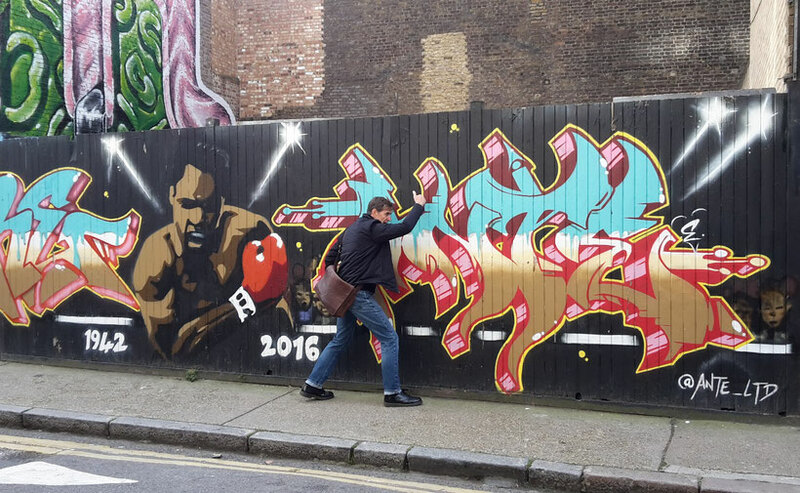 This is NOT a cooperation with Shoreditch Street Art Tours. 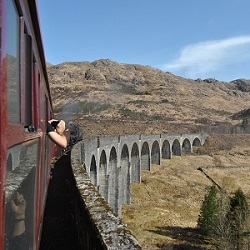 We booked the tour like any other participant. The review is based on my personal opinion. The described tour is just an extract of the tour. There is much more to discover. 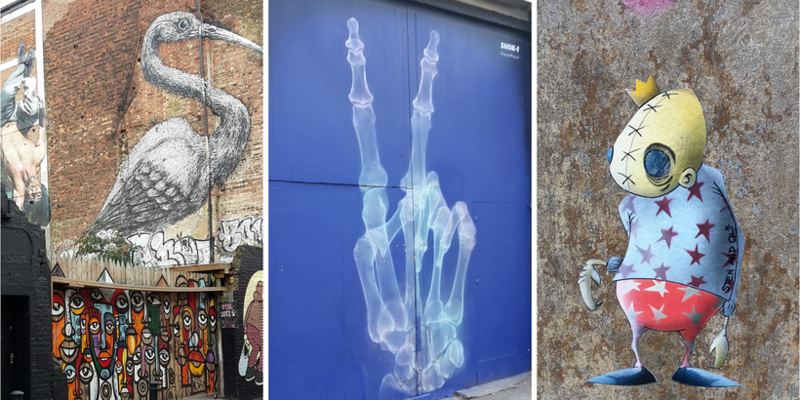 Street Art is a powerful lens to learn more about a place and its people and Shoreditch definitely has some talented artists who are creating these beautiful and thoughtful pieces. Thanks for sharing them with us! 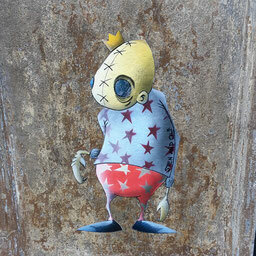 Thanks for sharing such a detailed post about the street art here! 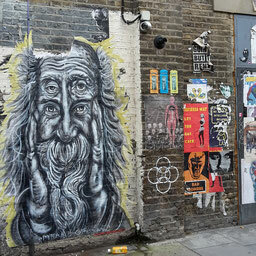 I've seen amazing street art in Valparaiso, Chile; Penang, Malaysia; and Boise, Idaho but haven't yet been to Shoreditch! I love shoreditch!! 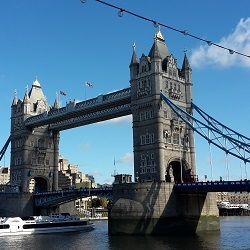 It is one of my favourite parts of London. 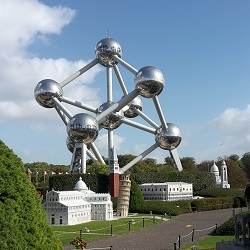 I knew there was a walking tour of the art, however I have never wanted to pay that much - so I have often found guide books and done my own walking tour. I might consider this one day! I am glad you liked it though! These are truly beautiful pieces of art! 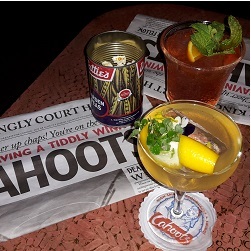 Great idea to enjoy them through a guided tour. I bet you were able to get so much more information from a guide than on your own. So cool! Well done! 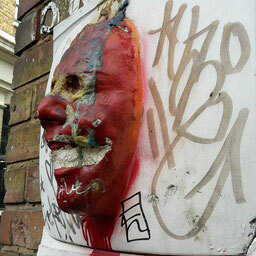 I didn't know London's street art was so cool. I live in a big city and the street art is the thing that puts a smile on my face during cloudy days... thank you for clarifying the difference between Graffiti and street art. Pity I've missed this on my trip to London. 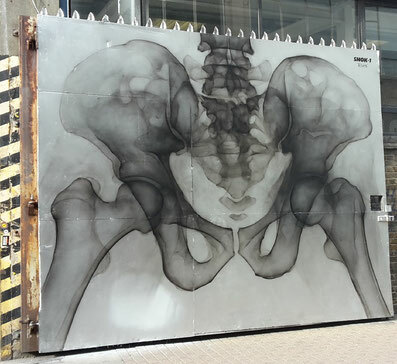 This is a great piece on street art. 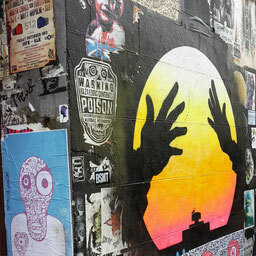 I love this form of expression and like to wander in big cities (Paris for example) in search for street art. 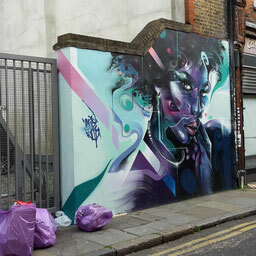 I've been in Shoreditch a couple of years ago and would love to go and check out what mural has replace the one I saw. 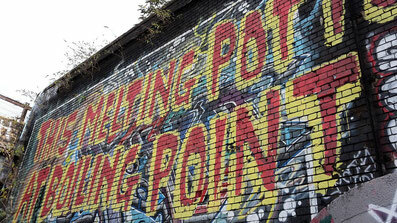 London is one of the World's best places to see street art and artists come from far and wide in order to paint its walls ! 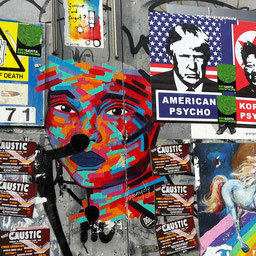 Whether you love street art (like me) or loathe graffiti, you can’t have failed to notice the recent surge in colourful creations adorning the concrete jungle walls of London :-) !! This sounds like an awesome way to spend the afternoon! 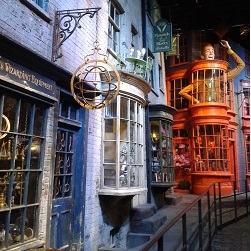 I like guided tours because you have the opportunity to learn so much you might otherwise miss on your own.